Now in its 39th year, the Georgia Poetry Society, a name which was amended from the early Georgia State Poetry Society, was founded in Atlanta, Georgia, on August 30, 1979 by late poets and friends Edward Davin Vickers and Charles J. Bruehler. From 30 members at its founding, the Society has grown to encompass a membership of approximately 200 poets and supporters of poetry. The majority are Georgians, but members from other states are welcome partners. Early in its existence the Society began offering contests, established an annual anthology and a newsletter, and gave major emphasis to youth work. These activities remain an integral part of GPS functions. In 1986 the Georgia Council for the Arts awarded us our first supporting grant. Three years later we instituted the chapbook contest. In 1996 substantial monetary support from the Coca Cola Company enabled us to stage the official Coca Cola 1996 Centennial Olympic Games Poetry Contest, the first such competition in modern Olympics history. We published the contest-winning poems that year in a volume titled Poetry in Motion. 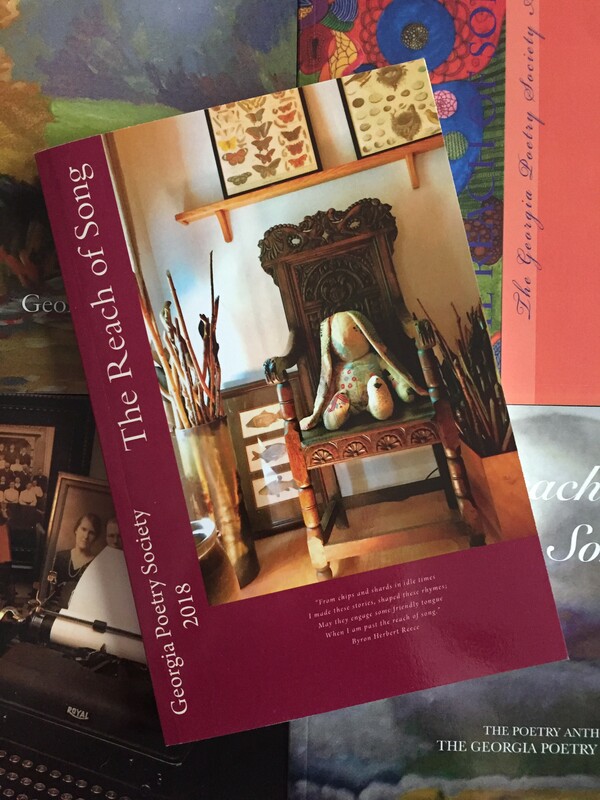 In 1999 GPS hosted the convention of the National Federation of State Poetry Societies in Atlanta on the theme “A Peach of a Convention,” drawing nearly 250 attendees from all parts of the country. In 2004, we celebrated our 100th quarterly meeting, 25 years of service to the Georgia state poetry community. To provide contests, publish anthologies and chapbooks, and further the practices of poetry writing and reading.